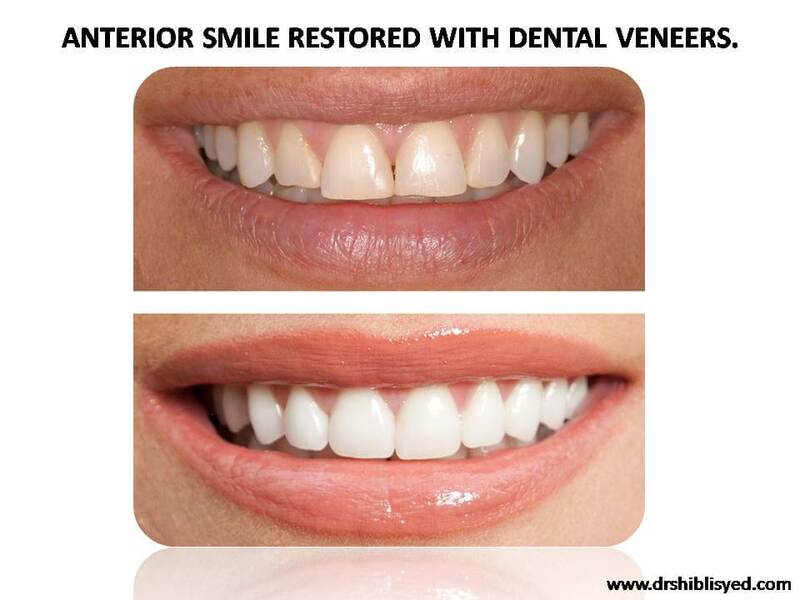 Veneers treatment in Pune, due to their durability, comfort and aesthetics, are the most popular and successful way of changing and improving the look of your Smile designing in Pune. Come in on Monday, have a Smile Makeover by Friday. Dental Veneers treatment in Pune are a thin, translucent layer of porcelain that fits over your existing tooth, giving it an improved shape, color or size. With expertise in creating veneers that beautifully enhance your smile, Dr. Shibli and his team can quickly and easily transform your smile from flawed to fantastic – in just a few days, if that is your desire. We use an exclusive lab that creates dental veneers to Dr. Shibli's exacting specifications, on demand, from the highest-quality dental materials. Our custom veneers will match or replace your natural teeth, and Dr. Shibli will make sure that the dental veneers you get will give you the exact smile transformation that you have wanted. Porcelain veneers can revitalize your smile, very quickly. If your teeth are chipped or stained, include an unsightly gap, or have been ground down, and you are ready for a change, you should consider a Smile Makeover. In just one week, you can look years younger with beautiful, customized porcelain veneers . Ready for your Smile Transformation? Dr. Shibli has been using porcelain veneers to rapidly and expertly transform the smiles of prominent personalities with one thing in common – they know that their image is critical to boosting their self-confidence and their success. If you aren't happy with your smile, Dr. Shibli can transform it for you – painlessly and quickly. Instead of spending months or years on braces Dr. Shibli can transform your smile with natural porcelain veneers in just a few days. The Best dentist in Pune removes a tiny amount of tooth surface so that when the Veneers treatment in Pune are applied, they don’t feel big and bulky. The first visit is when impressions of your tooth are taken so that the newly made veneer has your size and shape. The dentist then select the shade of veneer that best matches your teeth. The next step is to simply apply the veneer to the tooth. Veneer can greatly improve your appearance. They also protect teeth from any more damages. Veneer if often the better option than a crown for improving a tooth’s appearance. A veneer is a paper-thin, custom-made covering usually made of Porcelain (ceramic) that conceals the front and side surface of your tooth. This is then bonded to your good tooth to correct crocked, chipped, discoloured or worn teeth. And what it enhances, is your smile. Veneers are generally indistinguishable from natural teeth. The Good Dentist in Pune removes a tiny amount of tooth surface so that when the Veneers treatment in Pune are applied, they don’t feel big and bulky. The first visit is when impressions are taken of your tooth so that the newly made veneer has your size and shape. The next step is to simply apply the veneer to the tooth. Veneer is often the better option than a crown for improving a tooth’s appearance. How many appointments required to place a veneer? 3-4 appointments are usually required. Which dental problems are corrected by veneers? - Ugly spaces between teeth. - Malpositioned or slightly crooked teeth. 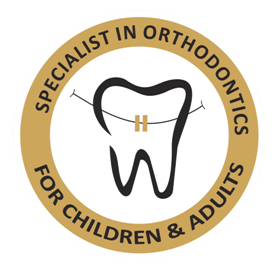 - Odd shaped, slightly cracked or chipped teeth. - Fractured teeth with a fair amount of tooth structure left. - Teeth with multiple filings. - Unsatisfactory shape, size and form of teeth. What happens to my teeth after veneers, and will I ever get cavities? There is no higher incidence of decay provided the veneers are properly cared for with regular flossing and brushing with toothpaste. In general, it is good dental advice to keep your sugar consumption low and confined to meal times to prevent decay. They can last from seven to twenty years. If a veneer comes off it can generally be rebonded. If it chips it can sometimes be rebonded or otherwise replaced. This is certainly a factor that will be discussed during your evaluation and smile design so that everything matches and blends well. Most patients usually whiten the lower Teeth whitening in Pune(bleaching) procedures to ensure a good match. Do porcelain veneers stain with normal things like tea, coffee and wine? Porcelain veneers should never stain. What are the advantages of dental veneer? The preparation of veneers preserve the most amount of tooth structure as very little needs to be removed. They can vastly improve the appearance of your teeth, and gum tissues respond well to dental veneers. The colour can be custom selected and in the case of porcelain veneers they are extremely stain resistant. Once you have had your tooth prepared for the veneer, the process is not reversible. In the case that a veneer cracks, it is difficult to repair without having to replace the entire veneer. With people who have poor gum health, veneers are not a good option. It is important not to have habits like pen-chewing or nail-biting as these can crack the veneer. In addition, people who grind or clench their teeth are at risk for chipping or cracking their veneers. Lastly, veneers are still susceptible to decay so it is important that you maintain optimal oral health and visit your dentist regularly. What post treatment care needs to be taken after placing the veneer? - Normal diet will not harm your Veneers treatment in Pune. Avoid any shearing force on these teeth (like biting sugarcane). - Regular checkups will ensure your veneers are in excellent shape. How Much Do Veneers Cost? Typically, a porcelain veneer costs between 8000-20000 per tooth but consult with our dentist to get an accurate cost. Do you think that dental veneers might be right for you, but you're just not sure? We have a very experienced team of panel doctors who believe that an educated patient is a happy patient. They will be very happy to explain veneers to you thoroughly and help you to understand exactly what it is that you can and should expect from your Cosmetic Dentistry in Pune. For more information on dental veneers and laminates please feel free to chat with us online or fill your query in our contact us form. Our executives are more than willing to help you 24 X 7.